Sculpture in Stone (MFA), no. 415. 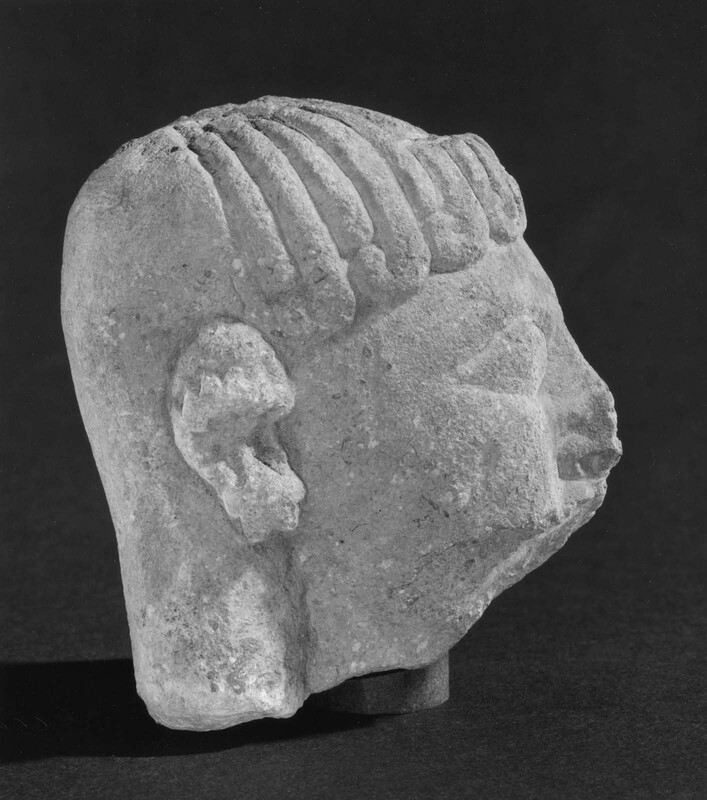 The head is broken below the mouth; the nose is battered, and a piece has ben chipped from the upper part of the head. What remains, however, is in good condition and carved in a forceful, provincial (?) style. 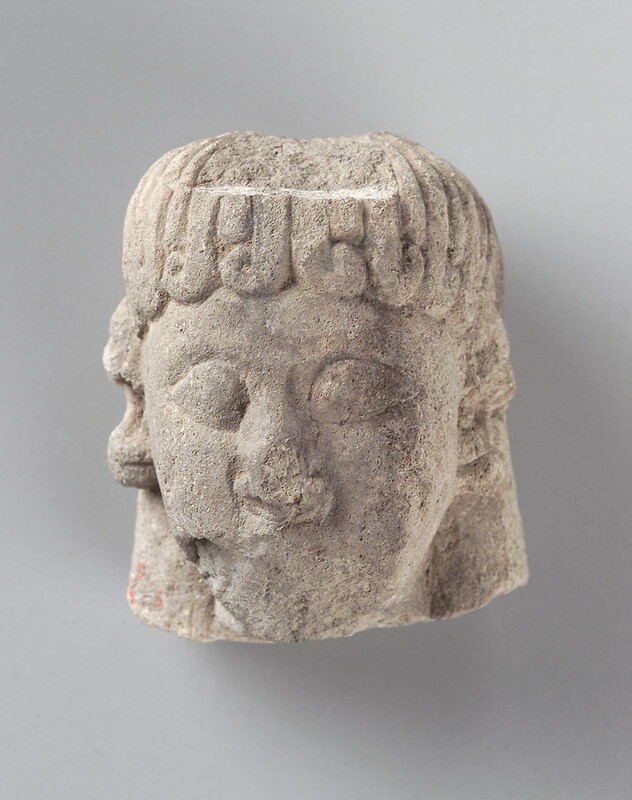 Archaic curls are arranged around the youth’s forehead, and a headcloth appears behind. He also wears elaborate ear ornaments. From Naukratis, Temple of Aphrodite. 1886-7: excavated by William Matthew Flinders Petrie for the Egypt Exploration Fund, assigned to the EEF by the Egyptian government; December 22, 1887, presented to the MFA by the EEF. (Accession date: 1888).